*The Hallmark Channel has officially announced 22 New Christmas Movies... for the 2018 Christmas Season! *UPDATE #2: Hallmark Movies & Mysteries has officially announced 16 New Christmas Movies... for the 2018 Christmas Season! *Lifetime officially announced 14 New Christmas Movies... for the 2018 Christmas Season + acquired films! *INSP to Broadcast Holiday Movie "Christmas on the Coast" this Thanksgiving! *UPtv Spreads Holiday Cheer with Seven All New Christmas Movie Premieres! *ION Television will “Bring the Holidays Home” with the U.S. television premieres of six holiday movies. Christmas on the Coast - in theaters Christmas 2017! A Family for Christmas - 2017? Sleigh Bell Sweethearts - 2017? Just Where I Belong ~ "The Christmas Bunny"
See More "Direct to DVD" and "New DVD Releases" - CLICK HERE. for more Movies, Dates, and Times! Elf Sparkle Meets Christmas The Horse - ? Labels: 123, ABCfamily 25 days of Christmas, CHRISTMAS NEW TV MOVIES, Christmas TV Schedule, Hallmark Channel, It's a Wonderful Christmas, It's a Wonderful Life, TV guide, Update, When is on tv? Thank you for keeping us up to date on the Christmas TV schedule! I can hardly wait for them to start. Do you have any suggestions for Christmas themed movies from the 1950's & 60's? Something Doris Day like, lighthearted and entertaining. I absolutely love your Question... because I, too, love a good Doris Day film! I would suggest, of course, On Moonlight Bay... for a Wonderful Doris film, with Christmas! And, as for other Christmas films, with a Lighthearted "Doris Day" Movie feel, I would suggest: Meet Me in St. Louis, Bachelor Mother, Christmas in Connecticut, Holiday Inn, White Christmas, and It Happened on 5th Avenue. Hope that helps, a little! I don't know if anyone answered your question yet, but the movie is titled "A Christmas Wish" with Kristy Swanson playing the Mom. It's one of my favorites! I love that movie! A Christmas Romance with Gregory Harrison and Olivia Newton John has always been a favorite! And, YES, it is available on DVD! Here are some other Christmas movies on Lifetime this year. Thank you for this warm and cheerful blog. I'm glad I stumbled upon it. With everything going on in the world, I already "need a little Christmas." I also recently stumbled upon a great website that plays Christmas Music (free) 24/7. I'm so glad you found my blog, too! Welcome and thank you for the sweet message! I'm delighted to share the Christmas Cheer!!! It is, as you said, a wonderful escape from "everything going on in the world"! I'll have to check out that radio station! Sounds Amazing! I'm looking for a movie I seen last year where a lady's car breaks down or runs out of gas. Not sure. Anyway, she is mistaken for someone's niece I believe and allowed to move in to a really nice house. And a sheriff keeps running into her and they begin to fall for each other. Please help. It was an excellent movie. The movie you are referring to is "A Season for Miracles"! 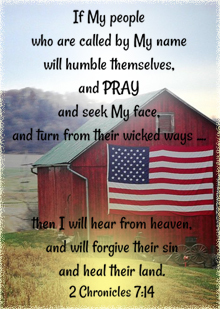 It is one of my all time favorites. It is being played this year on Hallmark Movies & Mysteries! I am looking for similar Food themed Hallmark movies like: Recipe for Love, Just Desserts, A Taste of romance, Uncorked. Anybody have any other movie titles? Hallmark Movies: A Chance of Romance, Cookie Cutter Christmas, and Operation Cupcake. UPtv Movies: Apple Mortgage Cake and Mayor Cupcake. Thank you so much. I appreciate it. I loved those movies. I would recommend them to anybody and the other 2 non food themed movies which were great is Christmas Belle and Second Chances. The Food themed movies are so great to watch. The Sweeter Side of Life is another one. I am trying hard to find the title of a movie I fell in love with years ago, it is about a woman and a little girl that get caught stealing and have to be stuck with a cop over Christmas. I can't even remember who plays in it. Check out holiday in handcuffs😊 it is a 2007 movie with Melissa Joan hart...markie post ...mario Lopez. I have seen many of the past movies listed here and now have the plan of watching the 2015 films, thanks to this list. I have watched last 2014 Christmas the One Christmas Eve (Hallmark Hall of Fame) and Debbie Macomber’s Mr. Miracle. My family love it especially my 4 years old kid. (A Prince For Christmas-11/29/15; Merry Kissmas-12/05/15; How Sarah Got Her Wings-12/06/15; A Christmas Truce-12/12/15; and A Christmas Reunion-12/13/15). Thank you for keeping us updated love Christmas Movies!! Why is "I Hope You Dance, the Power and Spirit of Song" - a Hallmark Movies & Mysteries Film scheduled for November 26th not on the list? From my understanding, "I Hope You Dance, the Power and Spirit of Song" is more of a documentary type special with inspirational stories weaved in. It is not a Christmas movie. Hallmark also does NOT have this special included with their new Christmas movies list. There are three Christmas movies that I have searched for every year since 2007, one is with Naomi Judd & Gerold McRammey & the one with John Denver I think it is called The Christmas Gift also the one with with Randy Travis & Rue McCallahan They were on lifetime. Those are wonderful movies. I have seen The Christmas Gift with John Denver this year! It is on Hallmark Movies & Mysteries. The Christmas Gift is available on DVD, click here! The other ones you mentioned are good, too! The movie with Naomi Judd & Gerald McRaney is called "A Song for the Season". 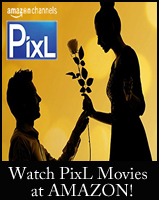 It is available on DVD, click here! The Movie "A Holiday to Remember" with Randy Travis, Connie Sellecca, and Rue McCallahan. is also available on DVD. click here! Hope you can get some of these movies on DVD, Barb, to add to your collection! I have them all on DVD, too - and I cherish them all still! The Naomi Judd movie is AKA A Holiday Romance!! Hi looking for the name of a film please, its about a rich snob and she uses her assistant to decorate her bf home for christmas only the assistant and adam fall in love and they try figgy pudding and go on a horse a cart ride - the design for the house is based on 3 trees past, present, future. Hello Victoria! I'll be glad to try to answer your movie questions! Hope this answers your movie questions!!! Your description makes perfect sense to me - because I know the very Christmas Movie you are describing... it's "If You Believe" with Ally Walker (Profiler), Tom Amandes (Everwood), and Hayden Panettiere (Nashville). It's a fun story! I found it in a 2 -pack DVD at Amazon, Click Here for all the details! Thank you for letting me know so quickly. I really love this film and so very grateful for your help. That movie is called If You Believe! Great movie. Lady in the Nursing Home. The Grandmother finally forgave the Lady in the Nursing Home after she learned who it was that killed her son. I know just the movie you are talking about... that movie is "The Christmas Wish". It is an interesting suspenseful story - the Grandson is trying to discover the identity of a woman named Lillian. Hope you can get it, Judy! Enjoy!!!! The Christmas Wish from 1998. It is on the Lifetime channel on 12/9/15 at 4:00 pm est. We are obsessed with finding the name of a Christmas movie about a woman who's car gets carjacked with the kids in it, there's an accident & they die (drown when car goes in water). She gets another chance to redo decisions that led to this. We can't remember if it is Hallmark or Lifetime or another but it is set at Christmas. Could that possibly be "One Magic Christmas"? The Hallmark Channel used to play it a few years back. Fortunately, it is available on DVD at Amazon. Perhaps you might recognize some of the actors on the DVD cover. Click here to see DVD! I hope this helps! Blessings to you & yours... Merry Christmas!!! You're just a little off on the children's fate, but this sounds like a Disney release from the 1980's called "One Magic Christmas" with Mary Steenburgen. It is available, so hope you get to see it soon. I can't remember the plot very well but I believe that there are two or three movies about this girl whose parents are dead(?). The second movie has her staying with a rich woman whose funds are running low and she wants her to marry rich or something. The woman end up liking this bad boy character who takes her to a bar for the first time. She ends up seeing her first crush/ love and he's worried about her. Later she ends up finding out that the bad boy guy is not loyal and she falls in love with the guy (from the first movie) who was her first crush. Its either during a victorian era setting or colonial america. It might have aired around 2008??? I'm not positive, but I think you are looking for An Old Fashioned Thanksgiving and An Old Fashioned Christmas. That must be it!!! That would absolutely be my guess, too, Cathie! They are definitely Victorian era. Personally, I am more fond of the first movie, than the second, but I usually love period type films. I am tickled pink that I've found this blogspot with other people who love Christmas and Christmas movies - I watch anything Christmas, even in July or whenever I feel life is overwhelming me and I need to get away into fantasyland. Warm memories of Christmases past return and the world fades for an hour or two (sometimes 4) and I return to the present, knowing I can run away again back to happier,kinder times any time I want. So much dark stuff on TV that doesn't interest us. Thank you!!!! This is a great article. I really appreciate the hard work you put in it. Thanks a lot for sharing. Thanks for keeping this list and publishing it. Thanks mate. 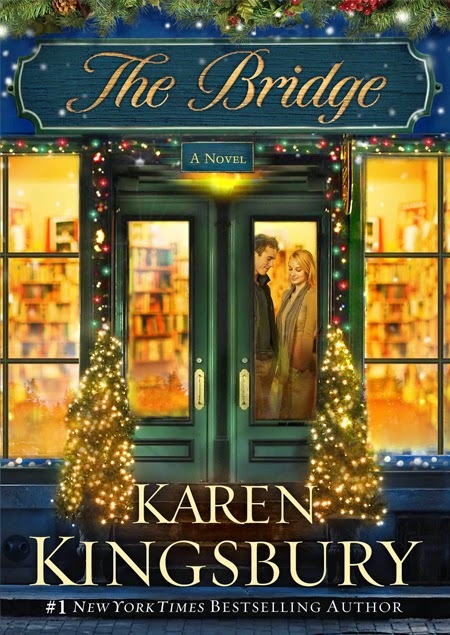 Last 20th March (2016) there was Karen Kingsbury's The Bridge: Part 2, aired on Hallmark Movies and Mysteries, yet it is not listed up here. Maybe you can update the list accordingly ? I was at Wal-Mart today & they have The Bridge complete story on dvd for sale. I can't wait to see what other new Christmas movies will be available this year. Can't wait! I think it's a smart move to start with Lacey's movie. Last summer, her movie was the one they used as the one new movie in their Christmas in July celebration and it did well in the ratings. 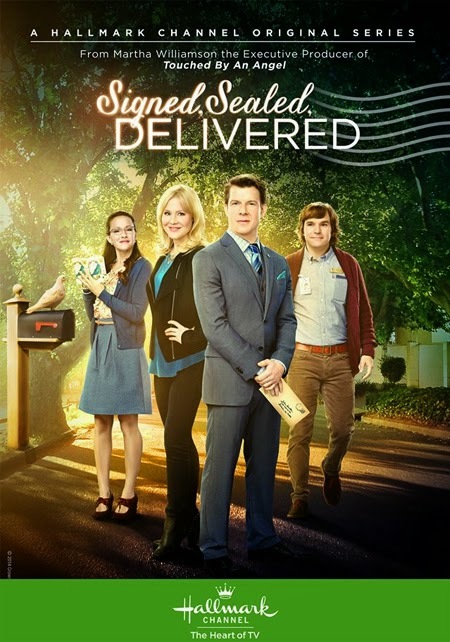 In past years, when Hallmark has started airing their new movies in early November, the first few movies almost felt like throwaways sometimes. It could be because it's so early and many people are not going to watch a Christmas movie a week after Halloween. 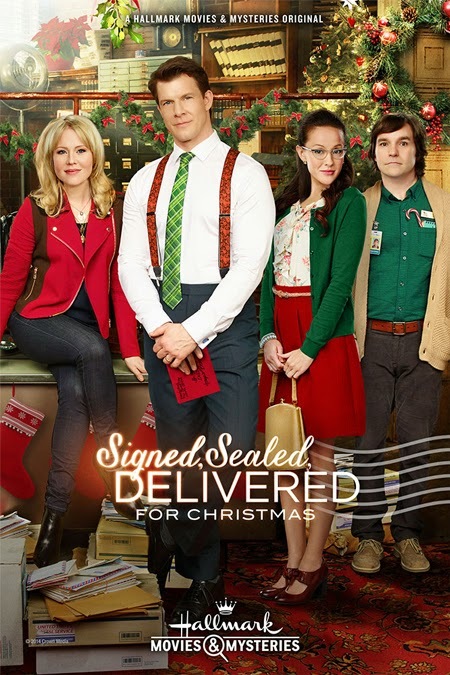 But by starting their season with a big name like Lacey Chabert, and then following it one week later with Lori Loughlin, and then one week after that you have Danica McKellar, it seems obvious that Hallmark is trying to grab viewers early and keep them watching all season long and not just having people watch between Thanksgiving and Christmas. They're starting the Countdown with "A Perfect Christmas" and "Family for Christmas" on the first Saturday and Sunday night, respectively -- unless the schedule changes and something else new gets added in. The way Hallmark has it set up now, they have got 2 "July sneak preview movies" (from 2015 and 2016) lined up for that first weekend of the Countdown (10/29 and 10/30), but if something new needs to be added into the Countdown they can easily bump "Family for Christmas" from the 10/30 slot. 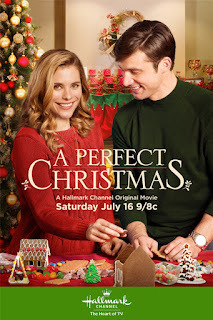 "A Perfect Christmas" only sneak previewed in July. It was not an official premiere. It aired only once, deliberately intended to officially premiere during the Countdown. There are a LOT of people who missed seeing "A Perfect Christmas" for various reasons, and so the official premiere is for them. It is still a "new" movie, by TV standards. It's just not 100% new because a lot of us watched it in July. 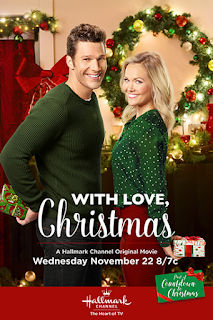 Hallmark was always going to give it an official weekend slot to premiere during the Countdown -- just as they did with "Family for Christmas" last year in December -- but it was just a matter of where in the line-up it would go. I actually think that it's a really bad programming decision to start off a 2-month Countdown, right out of the gate, with "A Perfect Christmas" -- even though it is still considered a new movie. The new Lacey Chabert movie is an entire, full week later -- not just a couple of days later -- which makes a big difference in the TV world. The problem is that many, many people already complain about Hallmark starting the Countdown to Christmas too early. People are already in an uproar because they are "forgetting" Halloween. Starting even one week later could have quieted the mobs of angry viewers just a tiny bit. 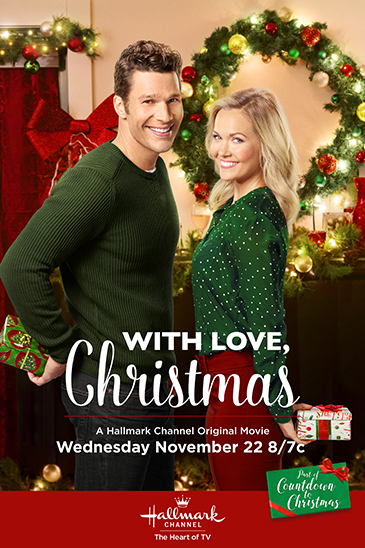 IF Hallmark is going to be bold enough to actually start a Countdown to Christmas before 10/31, and jump into 1500+ hours of all day/all night holiday programming, they should start off with a bang -- as they always do, every year -- with a brand new/never-before-seen-by-anyone movie on that first weekend. What this programming choice is going to lead to is grumpy viewers (who are already ticked off about losing The Golden Girls and Lucy for 2 months) and Halloween fans (who are angry about Hallmark skipping that holiday) complaining to Hallmark about starting out a 2-month Countdown without a new movie. They will say, "I already saw that movie in July... why are you starting before Halloween if you are not going to premiere a new movie? You show the same movies over and over, and you can't even show a new movie now?" With all of the new movies Hallmark has to premiere, it would be very easy to just stick a totally new one onto that first Saturday or Sunday, no matter which one it is. And I do think that whether or not the first few new movies were throwaways is subjective. I was not a fan of "One Starry Christmas," but many people LOVE that movie. That one premiered at the beginning of the Countdown in 2014. "'Tis the Season for Love," while not being a favorite of mine, stars Sarah Lancaster -- one of Hallmark's favorite "family" members. They didn't start the Countdown last year thinking that her movie was a throwaway. They started with her movie because they thought Sarah would bring in the viewers with that specific movie. I hope the schedule changes and Hallmark puts a brand new movie on the actual starting weekend of the Countdown, not a movie that is "sort of new"! Lol. Quite honestly, I don't care what movie they start with for the Christmas Countdown, as long as it starts! 😍 As for Halloween, they will be showing fall movies for 6 weeks prior to the countdown to Christmas movies. I'm not sure what they are yet, as I haven't looked, sorry NET, but they've been advertising the fall/autumn movies. They are showing 4 new Fall Harvest movies on the main channel, not 6 -- over 4 Saturdays in October. One of those new ones is connected to a series (which a lot of people don't watch, including myself and Net!). Maybe, some of those 'unknown' movies like 'Curveball Christmas' will end up at Lifetime? The only movie listed for them is going straight to DVD as of Nov 1st. 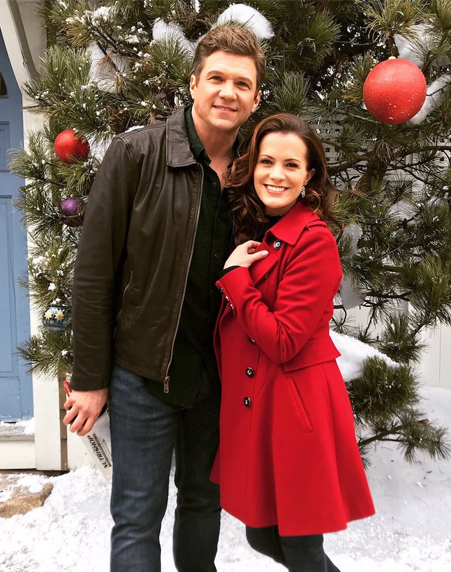 Unless Hallmark just decided to drop "A Curveball Christmas" when it was already in development for the network, and Lifetime or another network jumped in at the right time and picked it up, I don't think it will go to another network this year. 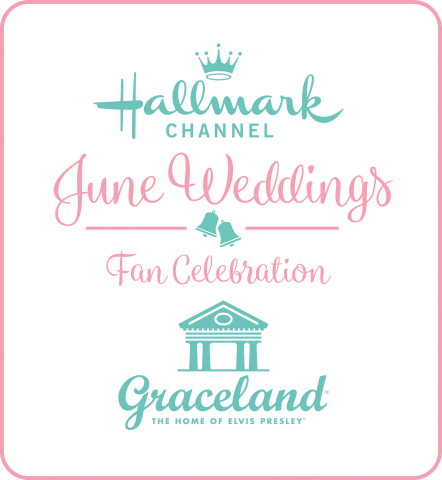 The titles that end up on other channels instead of Hallmark tend to be the ones that Hallmark/Crown never announced. For example, "A Snow Capped Christmas" was never announced by Hallmark or Crown itself. It was mentioned by other sources that it was going to Hallmark, but not by Hallmark itself. That's the key -- it doesn't matter who says it is a Hallmark movie while it's being made or even after it has wrapped up. If Hallmark/Crown does not step up and announce the movie as part if its line-up, then the movie could end up anywhere, on any network. But... in the case of Curveball Christmas, I believe that Hallmark/Crown actually named that title in its own press releases (and passed the info on to other outlets such as The Futon Critic). They claimed it, and it was in development specifically for Hallmark. If CC doesn't end up airing this year, then it is likely because it got delayed in development (which could happen for a variety of reasons). The same thing would apply to other movies that may or may not appear in this year's Hallmark Countdown to Christmas line-up, such as the Jaime Pressly movie, the Brooke Shields movie, etc. Those were specifically announced by Hallmark/Crown as being Hallmark movies, so they shouldn't end up on another network -- especially not this year -- but they may have gotten stuck in development and delayed until 2017. Hi I'm looking for a movie I watched a few years back it was about a little girl who saves a business man who she believes is santa he gives her his business card to ask for something as a thank you and she uses it to get her friends mum a party invite to stop her friends parents fighting, there is no money for Christmas and she goes to get chocolate pieces at a factory for the stockings, getting her father a job in the process and at the end of the film her little brother gets the trike he wanted sitting on the porch. The only thing I come up with is Willa Wonka and the Chocolate Factory, But I don't know if that's right or not, as I've never seen the movie. If this isn't the movie, do you have any idea what year it's supposed to be in the movie? The only thing I'm coming up with is Willie Wonka and the chocolate factory. I've never seen the movie, so I don't know if it is or not. If it's not, do you know the time frame of the movie? Was it modern day or in the past? And if it's in the past, how far back? Depression era? 1800's? I believe that you saw Booky and the Secret Santa. Megan Follows, of Anne of Green Gables fame, plays the mother. Thank you SO much for this awesome list! And for all the work you put into this whole site! It's such an amazing resource for anyone who loves Hallmark movies, Christmas movies, and other family-friendly movies as much as I do. I have been relying on your site to keep informed about Christmas movies for a few years now, but somehow have never commented. I thought it was high time I remedied that! I just wanted you to know how much I love and appreciate your blog. Thank you! Happy Thanksgiving! Hello Amy Lama! It's wonderful to hear from you! I'm thrilled and warmly touched you have been enjoying my site for several years now, but I am even more excited to receive your sweet, thoughtful comment! Thank YOU so much, Amy!!! It truly means so much to me!!! I am so glad you have been able to enjoy so many wonderful new Christmas movies over the years! I hope you feel welcome to comment whenever you like now on It's a Wonderful Movie! Yes, I can help! That movie you are talking about is "Christmas on Chestnut Street." It's a Lifetime Christmas movie from 2006. I love the ending at the Christmas light display! Actually, the father isn't the one who plays the saxophone. It's the male lead Lou Boyd, portrayed by Robert Moloney. He also just played Kristin Davis' brother in the new Hallmark Hall of Fame movie "A Heavenly Christmas." Hopefully this will help... I just discovered you can see "Christmas on Chestnut Street" on Amazon's web-site! Thank you for asking about this sweet little movie! I am looking for the Hallmark Christmas movies about a little girl that has cancer and her Dad is having all the holidays early in case she doesn't live till Christmas. That sounds like the Hallmark Hall of Fame Movie November Christmas to me. It is a very inspiring story! If you click on the title above - you will see more pictures and details of this movie - and hopefully it's the one you are seeking!!! Yes, I saw that, too. Looks kinda cute - with the story of the nativity told from the perspective of the animals. The bird shaking his... well, tail feathers may be a bit much, but kids will probably like it. Up has revealed the six movies they will be premiering and posted a schedule. It lookslike Beverly Hills Christmas 2 won't be airing this year. Hello Jennifer - Thank you! Yes, I saw this news! I've been in contact with UP and they informed me the details on their new movies would be released early this week! These movies all sound so good, don't they? - hope we end UP loving many of them this year! Thank you for making sure I saw this! I appreciate it so much! Tv one will be premiering two movies this year. The first is called Miss Me This Christmas and premieres Sunday December 3rd at 7/6 central and the second movie is You Can't Fight Christmas and premieres Sunday December 10th at 7/6 central. Jennifer, thank you for sharing these two new Christmas movies from TV One! I'm not too familiar with that channel, so I appreciate it! I added both the premiere times to the Christmas schedule. Does anyone know when or if the 2016 Hallmark movie "Hearts of Christmas" will be released on DVD? It looks like hallmark and hallmark movies and mysteries have switched back the December 17th movies that will be premiering. Hallmark now lists christmas connection at 8:00 and apparently romance at reindeer lodge is scheduled now at 9:00 pm on hallmark movies and mysteries. I did find another listing though for that on the 19th at 10:00 pm on hallmark channel. Thank you so much, Jennifer, for sharing this change! I just updated this above and in the schedule! I so appreciate you discovering this and letting all of us know! Thank you so much, Jennifer, for sharing this change! I just updated the titles above and in the schedule! I noticed that too. Hallmark movies and mysteries still lists it for December 22nd at 9pm but my xfinity app isn't listing it now when it had before. According to the TWC/Spectrum guide, Romance at Reindeer Lodge isn’t showing at all. It’s showing Christmas Connection on both channels. I recorded both after looking at HMM’s schedule on their website. It does state it’s at 9 pm. Just saw the brief trailer, and your listing, for Marrying Father Christmas! 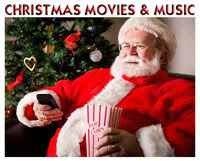 So excited - I love these Father Christmas" movies! FYI - This movie is currently scheduled to premier on November 11 (although we know of course that is subject to change). Net!! I think that Paul Campbell and Kimberly Sustad are co-starring in "A Godwink Christmas" (also known as "A Carousel Christmas"). Kimberly is definitely in it, according to SQuire's post on Twitter, and I am waiting for SQuire to announce Paul's involvement too. That's a good match! I am over the moon that Hallmark has finally paired up these two for a movie together! I was already excited for "A Godwink Christmas," but this puts it over the top! Paul Campbell and Kimberly Sustad are such Hallmark fan favorites... so I know this movie is definitely going to be a must see! I've added the Instagram pic that Paul shared from their first day on set together - *here*! I don't typically share all the film set shots because that can get overwhelming with the amount of them out there, but in this case, I couldn't help myself! 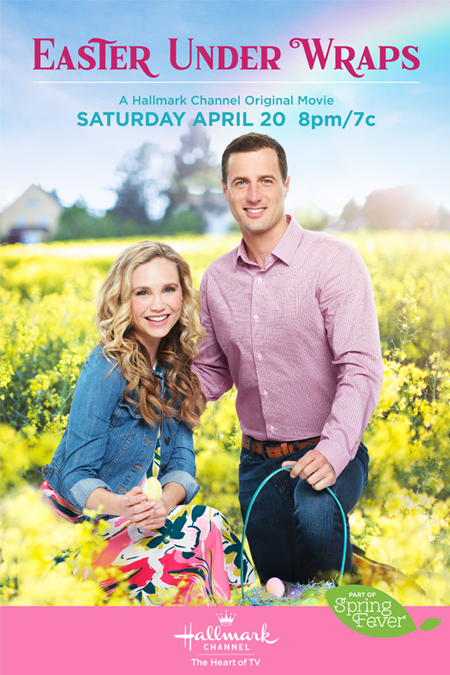 I'm pretty excited that Hallmark has casted Paul and Kimberley in this! I say it's a "Match Made in Heaven!" Thank you for sharing this title, Jennifer, I recall hearing recently that TV One would be making more Christmas movies this year. 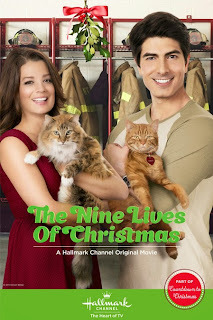 Net -- I'm not sure if I was mistaken because I was only half-paying attention, but I think the title of the new Daniel Lissing-Brooke D'Orsay movie was changed to "Christmas in Love." Did you hear/see that as well? A preview was shown for it today, and I think I heard it at the very end of the promo. Oooh! That's interesting! Will definitely have to keep a look out for that commercial preview! It's no surprise, is it, when titles change? Seems to happen quite frequently! Thank you, Jennifer, for sharing this news! Looks like UP has updated their schedule and placed this movie in. It is rather interesting they chose to premiere it at 7am/6c., (isn't it?) instead of during the prime time hours. I so appreciate you alerting me to this change! Oh, Yes! I was sent the press release early this morning! I've added the ION Christmas movies to the schedule, and I shared the press release with photos from each movie. It's so much better to see each new movie with an image of who is in it, I think. Thank you, Jennifer! I saw that. So appreciate your reminder to add the date above. I've decided not to add it to the schedule, though, after checking more into it. Unfortunately, it doesn't seem to be family-friendly. thanks for the listing of christmas movies every year! Hi I'm looking for a movie that I had seen last year however I don't remember the whole plot but it was a Christmas Movie and it wasn't very old. There was a woman who was driving and she swerved in order to avoid a deer. The car wouldn't start and she told the deer "I will sue you." Does anyone know the title?